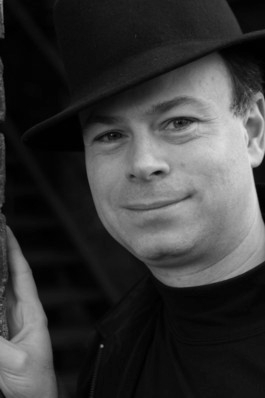 Christopher Valley Ban's writing and production background includes independent dramas and documentaries. He is also an experienced film editor, actor and narrator. He holds a BA with distinction in history and politics and an MSc in Legal Studies. He currently lives in Toronto. In 1994 Christopher wrote and directed Hugs and Apples, a feature length comedy about a young man in therapy over a failed relationship, which won a Silver Award in TV and Video Production at the prestigious Houston International Film Festival. Christopher's film credits as both writer and director include the half-hour dramas Face to Face (1998) and The Engagement (2000). He also made a short film of poet Alexandra Leggat reciting her poem the gun never stops smoking (2001). His documentary profiles can be seen on Canada's Bravo and include Pearl: A Passion for the Fiddle (2001) on the violinist Pearl Palmason, for which the late Don Haig acted as executive producer, and A Player's Carol: A Canadian Actor Reflects (2002) on the actor Vernon Chapman. His critically acclaimed documentary Vertical Desire: Tango (2005) is a glimpse from several points of view into the world of Argentine tango, including one woman's search for love under the dance's spell (Marina Palmer's memoir Kiss and Tango was published by William Morrow.). Behind the Bohemian Embassy (2010) is his first feature length documentary. His numerous screenplays include The Chasm. The first draft was selected for a story edit as part of the Screenwriter Mentorship Programme of the The Film Reference Library with support from Writers Guild of Canada and The Harold Greenberg Fund.